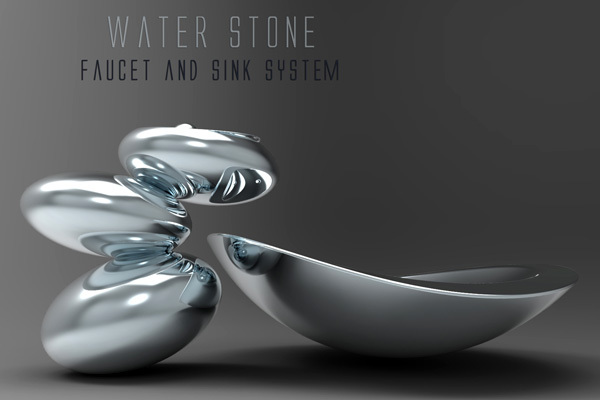 The limited edition Water Stone Faucet looks very natural and resembles small stream lost among stones. 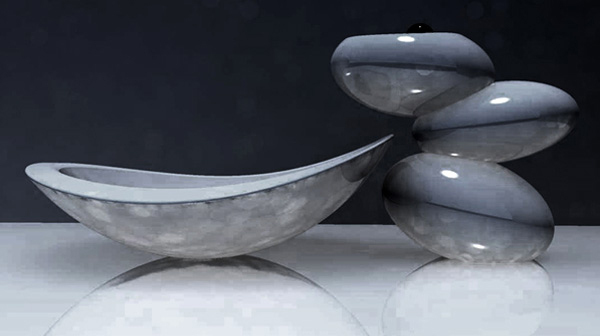 Designer Omer Sagiv created organic combination between water, lights and the rippling effects of pebbles and stones. 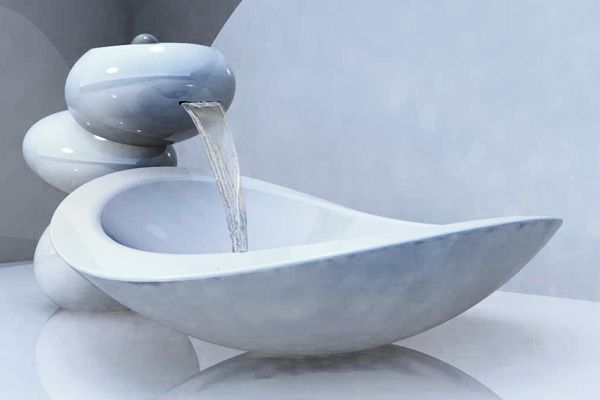 Such elegant faucet will bring into your home some natural elements. The working mechanisms were designed by Touch360 and Smith Newnam. Just gorgeous! 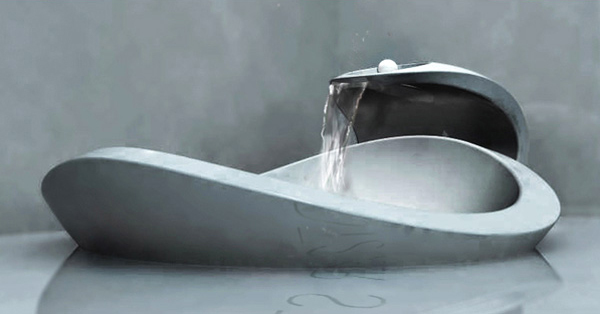 I’m interested in pricing for your designer sinks. 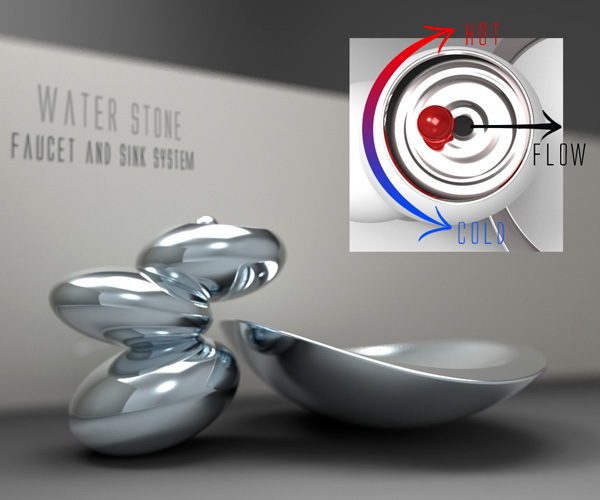 I want to buy water stone faucet and sink. where can I buy it? 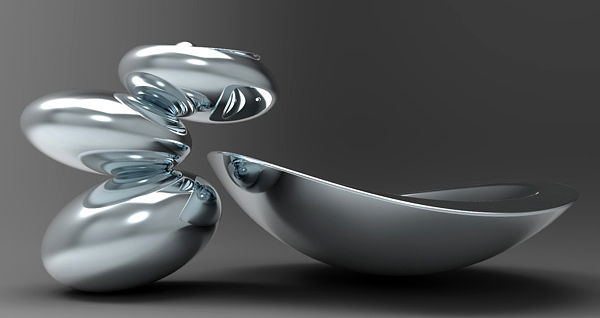 I like the design, not thrilled by the finish. maybe a stone -like finish i.e ” water stone ” . I really liked it until I saw that the water just comes out of a hole in the side. It would look more natural if the water appeared to be flowing from somewhere in a way that a stream might, like perhaps from in between two of the stones or maybe from a hole in the top of the uppermost stone so it flows over the surface and then flows off the end.